Join us at the 160th Great Yorkshire Show. 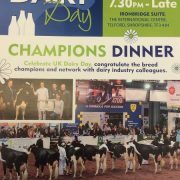 We will be at the Theakston Stand 170 on Tuesday the 10th and Wednesday 11th from 4PM onward both days. We are delighted to be joining our colleagues from Smartbow GmbH at EuroTier in Hannover from the 15th to 18th November on stand B54 in Hall 11. Smartbow’s new LIFE ear tag is a winner of the 2016 EuroTier Innovation Awards. 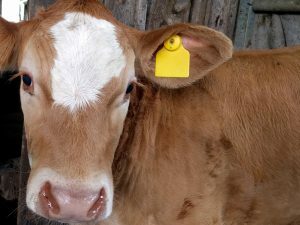 The LIFE ear tag is a new concept in identification tags for cattle. Not only can it be used for official animal identification but to also aid real-time location and health monitoring. 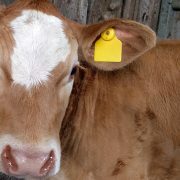 Due to their low weight, these ear tags can be used on calves from birth, allowing data to be collected seamlessly throughout the animals’ full life cycle. Individual animals can be located via integrated LEDs whether they are housed or at pasture. The energy supply to the sensors is sufficient to last for several years. The system saves farmers time in terms of behaviour monitoring, general animal husbandry tasks and quality assurance and therefore provides benefits across the full spectrum of production functions. 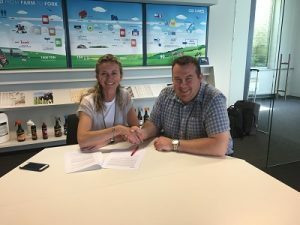 We are delighted to announce a new agreement with the Belgian hygiene company, CID LINES. 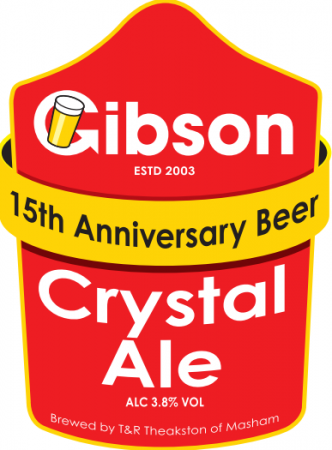 Tim Gibson Ltd will supply the existing dealer network with all CID LINES agricultural products and also look to expand the current number of outlets in the North of England. Established in 1988 and employing nearly 200 people, CID LINES develop and manufacture a range of hygiene products for the agricultural, horticultural, automotive, food processing and hospitality industries across the World. Partners of the National Mastitis Council Regional Meeting in 2014, CID LINES are highly involved in research and development programmes to prevent and manage mastitis and have formulated a range of medicinal and biocidal teat dips with this in mind. A joint project with the University of Ghent’s Veterinary Medicine Research Unit in 2013 saw CID LINES launch the KENO-M software package to help dairy units manage mastitis. With a large portfolio of high quality products for milking parlours, teat care, hoofcare, calf housing and equipment cleansing, our agreement with CID LINES now enables us to offer a complete range of dairy hygiene products at competitive prices. Please contact us for more information on the range of CID LINES products or if you are interested in becoming a stockist. 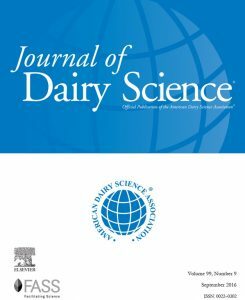 A new research study published in the Journal of Dairy Science (Vol. 99 No. 9, 2016) by Borchers et al has found the SmartBow eartag monitoring system to perform well when compared to visual observation. 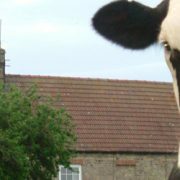 SmartBow is a unique ear tag that monitors rumination, heat and location of the herd …find out more. Download and read the complete paper. We are delighted to be attending the UK Dairy Day on Wednesday 14th September where we will be showcasing the SmartBow eartag system and Sieplo mixer buckets on stand L4 next to the CID Lines stand. 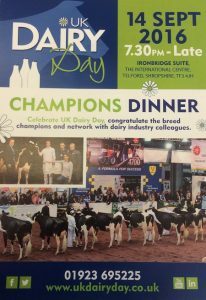 For more information, including directions and a timetable of events for the cattle show and sharing knowledge centre, please visit the UK Dairy Day website. With the dairy price crash hitting farmers hard we are getting an increased number of calls. UK users of Robots are finding contracts being cancelled with milk processors and their milk is unwanted leading to them selling their equipment and cows. 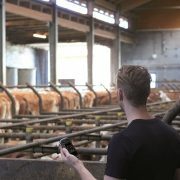 Other UK farmers are seeing the slump as an opportunity to expand their farm by either buying in robot trained cows and especially used robots. We are keen to hear from farmers in either situation. We have used robots available for sale now, and some coming available soon. 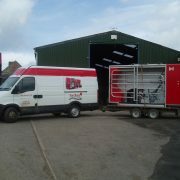 We also have buyers looking for machines to match in with their existing system from all over the world. For any dairy farm a pre owned robotic milking system offers a great saving over new, in these uncertain times when high capital investments look risky when returns are not certain.